Looking for a specific brand, size or price range? Check out our line-up of reviews of the best acoustic electric guitars by brand and budget. Rogue acoustic guitars have been around for nearly two decades. Rogue is a house brand for guitar distributor Musician’s Friend and keeping costs low is the primary goal for both the manufacturer and the consumer. The RA-090 guitar is definitely a bottom-barrel guitar, but surprisingly there’s more to like about it than there is to complain. Can a cheap guitar really do it for the aspiring musician? Apparently, it can. The cost cuts show in the materials with its laminate body and nato neck, but it still has the aesthetic appeal of many a decent guitar. It has a dreadnought body, painted maple 20-fret fretboard that joins the body at the 14th fret, and a black pickguard with a glossy finish. The Rogue comes in three finishes: black, sunburst, and natural. One of our 5 picks for under 100 bucks, there’s no surprise that the nut and saddle are plastic and the headstock sports humdrum nickel tuners. When it comes to sound, it’s expected that it’s not going to be a concert hall performer, but even with stock strings, it’s still loud and booming. With an upgrade in strings, you might find that playability is even more user-friendly, and the sound may round out to a full, vibrant resonance. All in all, tone intonation, clarity, and balance with punch is the expected sound performance of the Rogue. For a beginner, The RA-090 literally is the perfect guitar. It’s more than affordable, it can take the abuse inevitable with travel, and its jammin’ sound will turn you into a pop star over time and with lots of practice – that’s what it’s made to do! Hundreds of buyers have ranked and rated the Rogue RA. The number one benefit from buying the Rogue is its “good feel,” despite the fact it has cheap materials, the durability and construction is solid. It’s also fun to play, and that’s what buying a cheap guitar is all about – its user-friendliness and ability to be used and abused at one’s pleasure for any activity. Combine these advantages with good sound and a low price, and you have a recipe for street music and garage band success! But, with a cheap guitar, quality control with manufacturing will always result in defects being missed before they hit the shelves. Although defective Rogues seem far and few between, the main issues usually lie with the fretboard, neck, and tuning issues. Another crasher guitar that knocks it off the stage is the Jasmine S35 Acoustic Guitar. It’s affordable, similar in construction to the Rogue, and it sounds beautiful. Although Jasmine guitars is no longer a brand manufactured by Takamine, there’s no apparent degrade in its quality and construction. For a guitar under $100, it more than fits the bill as an ideal beginner guitar that can outlast your journey from amateur to pro. 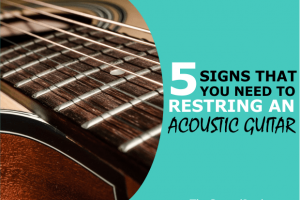 Maybe it’s the reason it’s one of the top-selling acoustic guitars online! Check out our full review for the details and specs! If you’re looking to save even more money, the Best Choice Products Beginners 38″ Acoustic Guitar is about as bottom-dollar as you can get. Fortunately, it’s a good buy – find out why here! It is a laminate guitar, but what do you expect for spending less than $50? For a beginner package, you’re getting the whole shebang with a case, shoulder strap, digital E-tuner, and a few more bonus items. Not bad for the price, right? Does this Rogue Require Batteries to Amplify? The Rogue RA-090 does not have electric components for plugging in. This is an acoustic steel string guitar. Does the Acoustic Guitar come with Accessories? The guitar doesn’t come with additional accessories save for pre-strung steel strings and the tool required to adjust the truss rod if necessary. A case or gig bag will have to be bought separately. Is this a Good Guitar for a Child to Learn to Play? The full-size dreadnought will be difficult for a child or small person learning to play guitar. It would be better to start off with a nylon-string or kid-size guitar for smaller persons or younger children. Is the Rogue Guitar a Beginner Size Guitar? The acoustic guitar is a full-size guitar intended for older children and adult players. It has a 25-3/8″ scale length, 20 frets, and a dreadnought design for full-size performance. Does the Acoustic Guitar come Pre-tuned? No. Although pre-strung, you will have to tune the guitar for first-time playing. Purchase a tuner separately for help tuning your guitar as the Rogue is prone to coming out of tune often. How is the Guitar Packaged for Shipping? This may vary per seller, but the guitar consistently seems to be double-boxed with stuffing paper for protection during shipping. Does the Acoustic Guitar come with Pre-installed Straplocks? Unfortunately, there are no pre-installed straplocks for a guitar shoulder strap. There is a strap pin located on the rear end of the guitar, but there is no reciprocating one near the neck of the guitar. Where are Rogue Guitars made? Rogue is the brand name for the line of guitars manufactured by Sungbo in Korea. These inexpensive guitars are typically made in China. It’s common to see inexpensive guitars come as a complete beginner’s kit with a case, strap, picks, and all the good stuff expected. However, the Rogue doesn’t come with any additional accessories. You’ll have to start from scratch if you want the essentials to ensure productive practice sessions! While we list the must-have accessories, you can check out our list of additional items you might want to become a guitar expert and improve your playing. Inexpensive guitars are always going to be entry-level and beginner instruments. It doesn’t mean it’s no good, it just means you don’t have to be afraid of making beginner blunders that will be inevitable. If you’re a newb wanting to take on the stage someday, rebel against guitar snobs and do it your way as a rogue with a Rogue RA-090. This is the guitar you want to trash for all those nights at the bonfire, strummin’ on the street corner, and showing up-noses that an entry-level git can get it done! While I don't have an arts degree in music, I have spent enough time around musical instruments & musicians to pass on some useful information. When I'm not rocking out to a sick beat on my stereo, you will find me sitting on a bean bag, in the corner of my room with a guitar trying to emulate the prowess of the great Mr Eric Clapton. Laminate VS Solid Wood Acoustic Guitar: Which Will Be The Right Choice For You? 2019 © TheSoundJunky.com. All rights reserved.